Knowledge and professional skills are tools for growth and development of complex organizations. 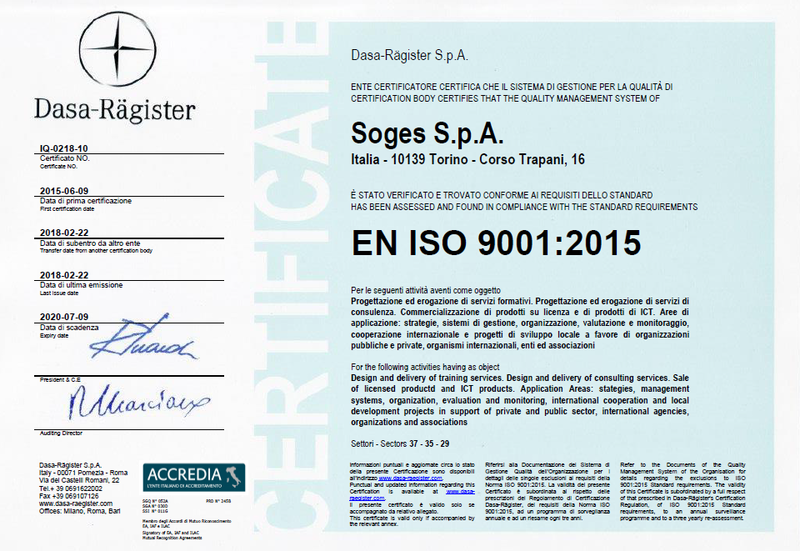 SOGES Learning offers tailored training proposals, delivered throughout Italy by selected professionals from the business world and consulting. Whatever the need (from basic skills to more specialized), our proposal aims to create and deliver the right training program together with the higher degree of customization. From the desire to offer dynamic content and personalized proposals related to individual training and learning needs, we have created YOUTOO by SOGES, our company which commercializes training proposals designed and tailored by SOGES Learning, in a collaborative way to capitalize on each other's experiences. In addition, thanks to our in-house expertise, with the activities of our Funding for Training business unit we can identify for our clients the most appropriate lines of credit to support the design and implementation of our training programs, as well as the participation in specific training initiatives in the framework of specific catalogs. Call to action: Plan your change. Contact us!